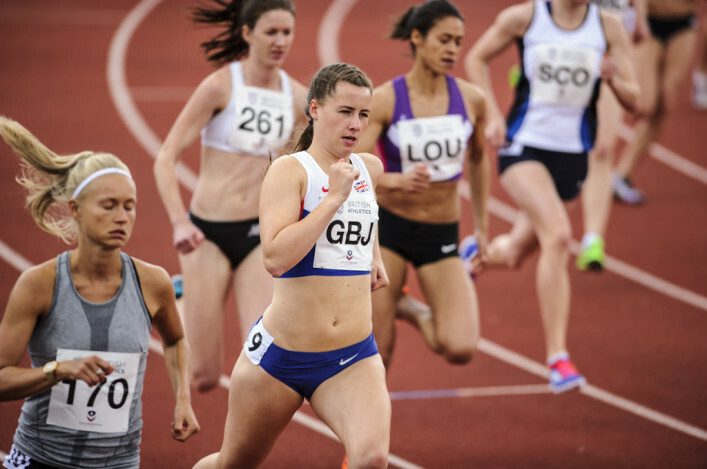 Scottish women’s 800m running looks to be in a good place at the moment and that was reflected at the British Universities and Colleges Championships in Bedford over the bank holiday weekend. 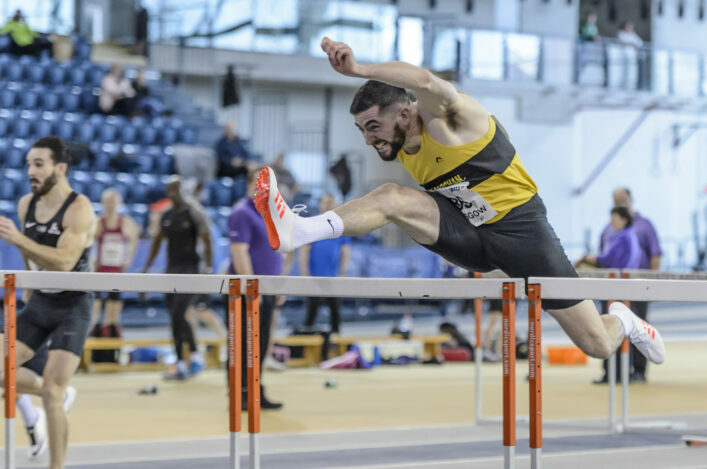 There was a 1-2-3 in the discipline for Scottish Women at the BUCS indoors but this time had to settle for ‘only’ gold and silver with good runs from GB internationals, and National Academy duo, Mhairi Hendry and Kelsey Stewart. 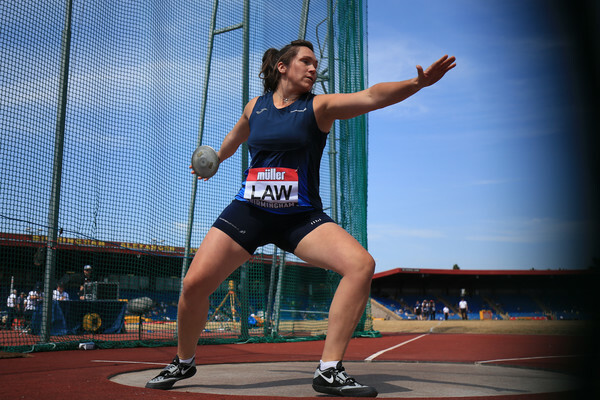 Hendry went one better than her second place last year with a dominant run which saw her win by more than four seconds in a time of 2.05.02 which was close to a PB. Stewart, still learning at 800m, clocked 2.09.69 to take the silver. Jake Wightman joined Hendry as an 800m champion in what was his last BUCS event. Wightman was at 1.48.04 with that the second best time by a Scot in the 2016 rankings. 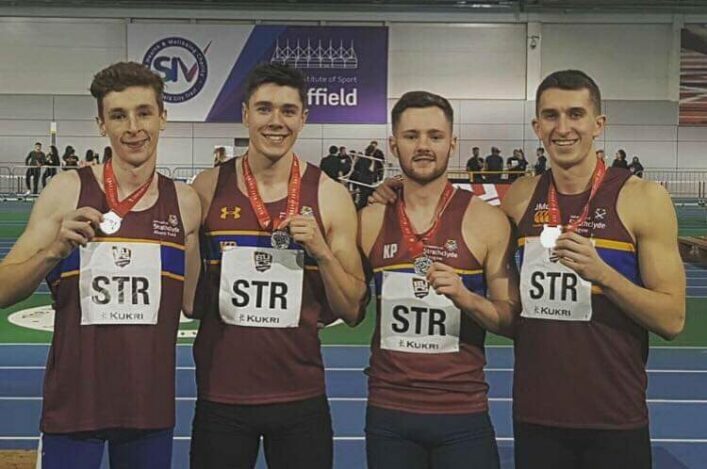 Para athlete Lewis Clow made it three gold medals for Scots as the Robert Gordon Uni student won his 200m. There was a silver for Beth Dobbin in the Women’s 200m with 24.77 while Steph Pennycook took bronze in the Women’s 1500m with a run of 4.26.95. Javelin thrower Greg Millar took a silver with his best throw at 68.42. And it was a good weekend for hurdler, Mhairi Patience, as she won a bronze medal at 400m H with a run of 59.75 that was a PB and her first run under 60 seconds in the event. 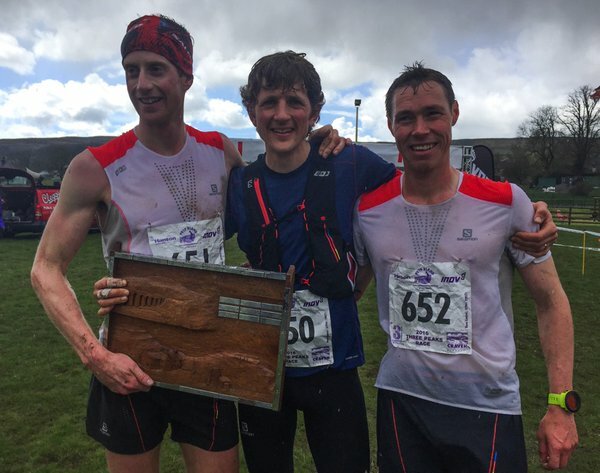 Shettleston Harriers athlete Tom Owens is on the brink of a GB selection following a good run at the Three Peaks race in Yorkshire. With Tom second Brit in what was a trial, he is in a good position for selection for GB for the World Long Distance Mountain Running Championships in Slovenia in June. Murray Strain was seventh in the race. Carnethy’s Charlotte Morgan was the first Scot in the Women’s race. In Canada over the weekend, there was a good run by Ellie Greenwood in the Vancouver Marathon. 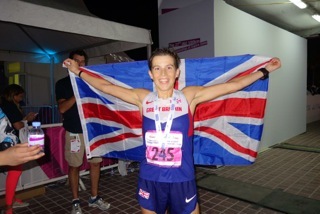 The Scots-born ultra runner, who is in the V35 category, ran 2.45.21 for 14th place in the race. That brings Ellie into third place on the Scottish marathon rankings for women for 2016. On the marathon subject, we wish to correct recent Scottish Championship medallists in the Masters category for Women – with apologies for the error. Portobello athlete, Yana Thandraven, was the bronze medallist. Here is the amended Result: Vets Women: Marie Baxter (Garioch) 2:57.22; Gail Murdoch (Carnegie) 3:09.23; Yana Thandrayen (Portobello 3:11:26.